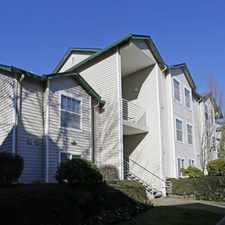 This apartment is in the Marrion neighborhood in Vancouver. 117 Northeast 102nd Avenue has a Walk Score of 53 out of 100. This location is Somewhat Walkable so some errands can be accomplished on foot. Garden View Apartments features spacious 1 & 2 bedroom apartment homes at a cant beat price. You'll fall in love with the wood laminate floors, open floor plan, and tons of closet space. And each apartment comes with a patio or balcony that is just perfect for soaking in sun and watching the birds and squirrels run through the courtyard. Plus we are just steps to public transit, close to shopping, dining, parks, schools and easy freeway access with 205 just a mile away when you need it. All of this can be yours when you make Garden View Apartments you next home. Come in today. Our friendly, on-site professional management is always happy to help residents. We work hard to create a place you will be proud to call home. 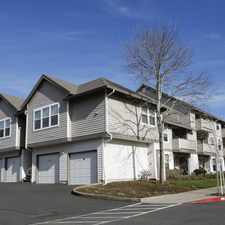 It's all here in our cozy community, compare it for yourself. Come and live where the manager knows you by name. Explore how far you can travel by car, bus, bike and foot from 117 Northeast 102nd Avenue. 117 Northeast 102nd Avenue has some transit which means a few nearby public transportation options. View all Marrion apartments on a map. 117 Northeast 102nd Avenue is in the Marrion neighborhood. Marrion is the 26th most walkable neighborhood in Vancouver with a neighborhood Walk Score of 35.